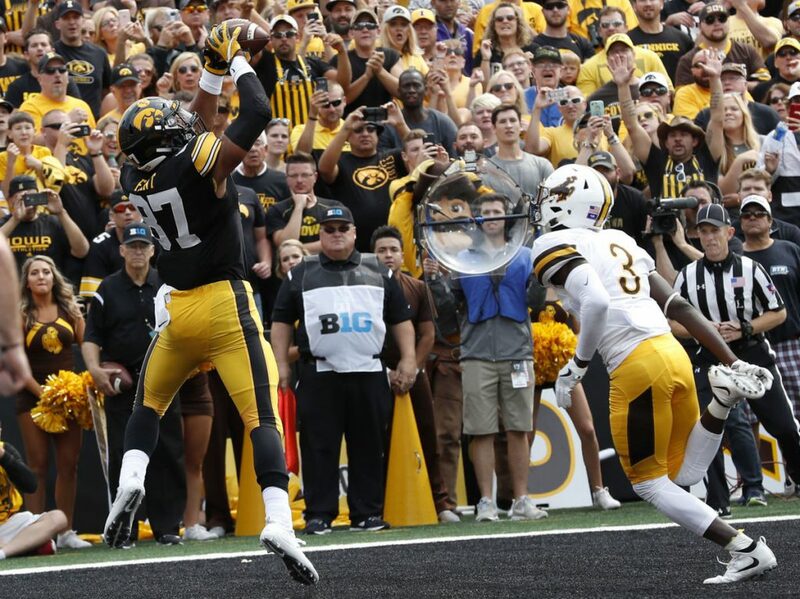 The Tight End position contained some known commodities entering the 2017 season, and those players delivered – Mark Andrews, Cam Serigne, Mike Gesicki, etc. In 2018, it will be completely different with new names that will dominate the top tight ends in the college fantasy football rankings. The former 5 star TE had a fantastic freshman campaign two years ago posting good numbers going for 29 receptions for 361 yards and 3 tds even though he was not technically the starter. Stepping into the starting roll as a sophomore everyone thought he would easily be a top target for the Georgia offense. 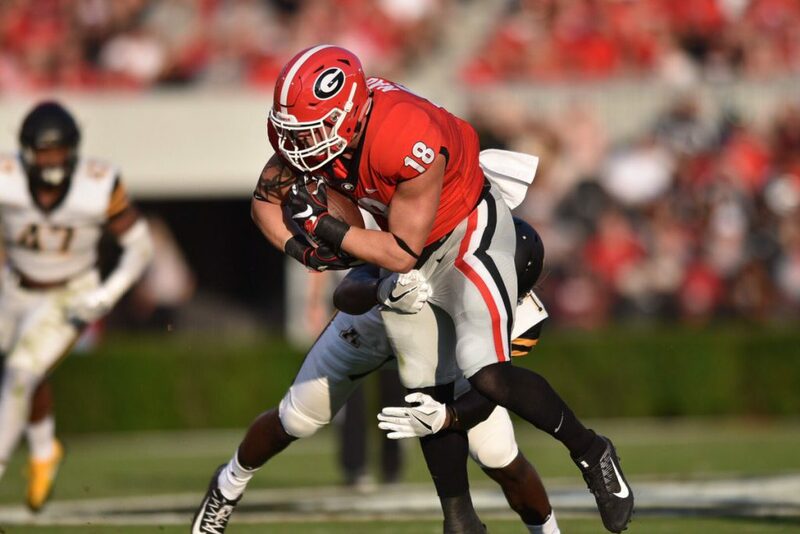 However, after seeing Georgia go through a quarterback change and start leaning heavily on the ground game, it was clear that Nauta took a backseat in the offense this past season. There is no denying the struggle Florida has had on offense finding a quarterback that could lead the team consistently. Even with sub par QB play the last couple of years Goolsby posted good numbers 2 years ago catching 38 passes for 342 yards and 3 tds. With Goolsby being a great safety outlet for the Florida offense many thought he would see his touches get north of 50 this past season, but instead, all of his numbers fell in all categories. Goolsby finished this past season with 13 catches for 105 yards and 1 td. One team that seems to always have fantasy friendly Tight Ends is Stanford. Entering this past season Stanford was returning Senior Dalton Schultz who was on the John Mackey Award watch list to start the season. Schultz could not find much production this past season only catching 23 passes for 222 yards and 1 td. Finding a TE that can produce can be a sleeper in fantasy leagues and can help win a championship. Noah Fant was a help in that category last season. Fant had 494 receiving yards and 11 tds which is far above the previous season which saw in real in 70 yards and 1 td. Western Kentucky has had some fantasy friendly TE’s the past couple seasons and the latest TE to be that guy is Deon Yelder. Western Kentucky may have struggled on the offensive end this season but Yelder stayed consistent. Yelder finished the season with 52 receptions for 688 yards and 7 tds. Missouri’s offense this past season was very hot to say the least. A part of that offensive production was TE Albert Okwuegbunam. In his first season starting Albert caught 29 passes for 415 yards and 11 tds. Ian Thomas plays in a very fast paced offense for Indiana and took a nice leap in stats going from two years ago to last season. Two years ago Thomas had 3 catches for 28 yards. This past season Thomas had 25 catches for 376 yards and 5 tds which is a vast improvement in his roll within the offense. BYU freshman TE Matt Bushman stepped up in his first season with the Cougars catching 49 passes for 520 yards and 3 tds. Bushman was a very pleasant surprise this past season for fantasy owners considering he was a freshman and not a big name coming out of high school.